In regards to work, I continued my deep dive into Synergetic. This included some more tinkering with options associated with generating a timetable, as well as refining the structural aspects of our reporting package. I also did some preliminary work around developing a dashboard as a live analysis of data captured in Google Sheets. I was also lucky enough to attended the #EduChange Conference, where I heard Peter Hutton discuss his new venture EdRevolution. On the family front, I am reminded every day about the differences between siblings, especially as our youngest approaches her second birthday. It felt like one day she was our baby and then the next day she was a hurtling down on a flying fox. My wife and I were also lucky enough to get away for a night to celebrate our wedding anniversary, as well as take the kids away for a few days to Warrnambool. Death of the Desktop Computer? – In response to Mike Caulfield’s gripe with mobile browsing, I look at some of the bookmarklets which make work on desktop irreplaceable. My Way or the Highway? – Is it enough to say ‘My Way or the Highway?’ or do leaders need to create the conditions that allow others to flourish? Professional Development, Awesome or Awful? – In response to the question, is art meant to solve our riddles or pose new ones? I wonder is PD meant to solve our riddles or pose new ones? Organising Data with Forms and Sheets – I use a lot of Google Forms to collect information. Here then are some of the steps that I have taken to streamline the steps and processes associated with reflecting on the data. 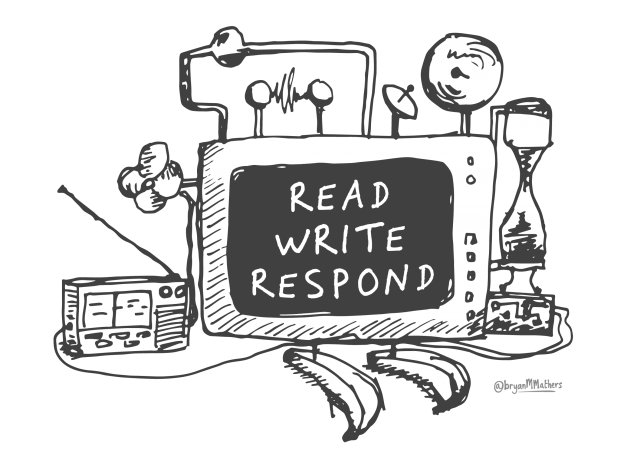 Developing a Writing Workflow – Inspired by Doug Belshaw’s series on blogging, here is a reflection on my writing process from Evernote to Google Docs to Trello. The Anatomy of an Idea – Building a Solution One Step at a Time – A reflection on the many steps that I took in the development of a timetabling solution with Google Sheets for primary schools using Synergetic. I have also been tinkering around with the #IndieWeb, trying to take more ownership of my online presence. Engaging Students’ Parents in a Collaborative Digital Place – Robert Schuetz provides some ideas for engaging with parents. Going beyond social media, Schuetz shines a light on the potential of digital spaces, such as the LMS. Coming at the problem from the perspective of blogs, Kathleen Morris suggests engaging parents as virtual volunteers. I also explored this topic a few years ago. Definitely one of those wicked problems with no simple solution. Parents are the child’s first teacher. Parents need to know they are an essential aspect of their children’s development. Parents possess a deeper knowledge about their children. Educators are better able to differentiate and individualize instruction when armed with the background information parents can provide. Parents need to know they have access and support from their child’s teacher and school. Parents should have a direct line to the feedback that helps support their child’s learning and development. Ask your students who they think they should talk to to learn more about their topic. Have them make suggestions about WHO might have the knowledge they need, and HOW they might get in touch with them. Some people you ask (especially parents) might feel that they don’t have enough to share. It’s important to be clear on what information you would like them to talk about, what you want them to demonstrate, and what level of understanding the students will come with. This can make it easier for your guest to understand how their expertise can help your class. In most cases, experts are experts in their field, not in teaching or public speaking. It can be very helpful to provide some information on how to run the session, or for you to run it and allow time for your guest to share, and manage question time for them. If your expert is willing, get their contact details so that if students have a follow up question, you can get in touch to find out their answers. Excursions and incursions can be very expensive. Finding experts in other ways is often extremely inexpensive and is most likely more tailored to what the learning needs of your students are. Doodles Away: Starting the School Year with Sketchnoting – Kevin Hodgson discusses the use of sketchnoting to support active listening in the classroom. He shares some strategies, as well as challenges he still has ahead. I have discussed sketchnoting before in association with visualising and collected a number of resources there. Lorde Remix Competition – Triple J have provided access to the stems to Lorde’s track ‘Homemade Dynamite’ from her recent album, Melodrama. I am less interested in the competition as I am in the opportunity to hear the song broken down into its parts. Lorde also reflects on her track, ‘Sober’, on the Song Exploder podcast. Another resource for digging deeper into the layers of songs is the recent collaboration between Google and Song Exploder, which provides a virtual space within which you can turn parts on and off. I also came upon PennSound, a collection of poetry recordings, both past and present. Triple j Unearthed is teaming up with Lorde to give you the chance to remix her track ‘Homemade Dynamite’. Take A Knee Padlet – A multimedia collection crowdsourced by educators and curated for middle year students interested in understanding the context associated with the Take A Knee movement. Not only is this a useful resource, but another great example of the way that Padlet can help facilitate collaboration. In a way, I think this is what Mike Caulfield envisaged for Wikity. Julian Stodd also provides a commentary on the current situation, focusing on the different forms of power at play, while Bill Ferriter discusses inadvertently second guessing students of colour. 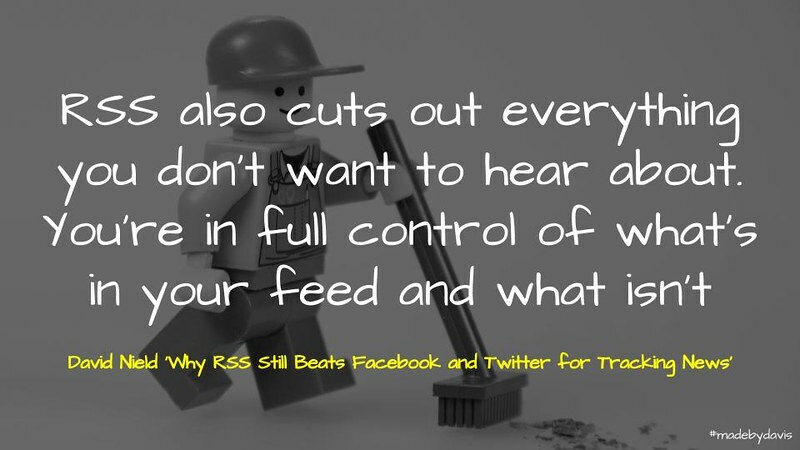 Why RSS Still Beats Facebook and Twitter for Tracking News – David Nield provides an introduction to RSS and why it can be better than social media for consuming content. One of biggest benefits is that it is unfiltered by the stacks. Nield provides some strategies for working with RSS, such as IFTTT and feed readers. Alan Levine lifts the hood on RSS, explaining how it works and what OPML is, while Bryan Alexaner states why he recently decided to rededicate himself to RSS reading. In the end, it comes back to Doug Belshaw’s question of curating or being curated? One of the main reasons RSS is so beloved of news gatherers is that it catches everything a site publishes — not just the articles that have proved popular with other users, not just the articles from today, not just the articles that happened to be tweeted out while you were actually staring at Twitter. Everything. In our age of information overload that might seem like a bad idea, but RSS also cuts out everything you don’t want to hear about. You’re in full control of what’s in your feed and what isn’t, so you don’t get friends and colleagues throwing links into your feeds that you’ve got no interest in reading. Is The Inbox Zero Strategy All Hype? – Scott Friesen explains that Inbox Zero is more about the process of getting through the mail than getting to the magical ‘zero’ mark. He lists some applications to help with this. Another hack Cal Newport suggests is to have all mail delivered into a sort folder, while Lauren Brumfield recommends thinking about an application which allows you to easily manage a number of accounts in the one space. Along with Doug Belshaw’s 10 tips to email productivity, this collection of posts provides a useful point of reflection for those struggling with email anxiety. So how can you become more effective with managing your email? – Consider using the concepts of Inbox Zero to speed up the way you process your messages. Remember, it’s not about keeping your inbox empty. It’s about getting through a large number of messages quickly and being able to identify the ones that deserve your attention. – Stop checking email so frequently! Did you know that the average professional spends 6.3 hours a day dealing with email? See if you can spend as little as 3 to 4 email sessions a day so you can focus on your most important work. Studies show that you will enjoy less stress as a result. – Use applications such as Boomerang, Trello, or Slack to keep your communication focused and on target. If you work with a team, make sure everyone knows how to use the communication tools within your project management system. You’ll save time and a lot of headaches for everybody. Podcast Generator – Jim Groom unpacks the process of publishing a podcast on your own domain with Podcast Generator. This is the tool that Doug Belshaw uses for the Tide Podcast. One of the benefits of publishing a podcast yourself is that you control the content, something that John Johnston has been reflecting on of late with AudioBoo(m)’s decision to become a paid service. He has also shared the process that he went through in downloading the Edutalk recordings housed there. After being asked by a friend about podcast options on Reclaim, I started playing with the podcasting tool Podcast Generator. I heard about it thanks to this thread by Tim Klapdor on the Reclaim Hosting Community Forums. It’s a really simple content management system designed specifically for podcasts. It provides a stripped down space to upload files and simple metadata like title, description, and categories. It also provides iTunes integration and an OG RSS feed. Do Your Technology Investments Advance Your Priorities? – Bill Ferriter unpacks three steps for identifying technological investments. This involves defining core teaching and learning, identifying tools that can fit this need and then breaking costs down into ‘per-student’. I have written about technology integration before. One thing that I would add to Ferriter’s process is using something like the Modern Learning Canvas to develop a more comprehensive picture of practice. schools and districts need to start putting their money where their mouths are when it comes to technology spending. In the words of Richard Elmore, for every new increment of performance that you demand from classroom teachers, you have an equal obligation to provide the time, the tools and the training necessary to meet those new expectations. That’s impossible when we aren’t making deliberate choices about the digital tools and services that we are purchasing. Using Hitachi Data Systems to improve student life at Curtin University – James Gallaway documents the way in which Curtin University is using 1600 cameras around its campus to capture staff and students for attendance and security purposes. However, this is only seen as the beginning, with the intent being on actively collecting data with an openness to future innovation. Continuing with this theme, Emily Talmage discusses the move in education to focus on psychological data, something that Ben Williamson has been addressing in regard to platforms like ClassDojo. Privacy International provide a case study for how data and algorithms are being used against us. Mike Caulfield wonders if there needs to be a state tax on personal data that is stored about us. Martin Weller argues for a mixed diet of data consumption. Kin Lane and Audrey Waters discuss the way in which technology companies shape public discourse in Episode 66 of Contrafabulists podcasts. 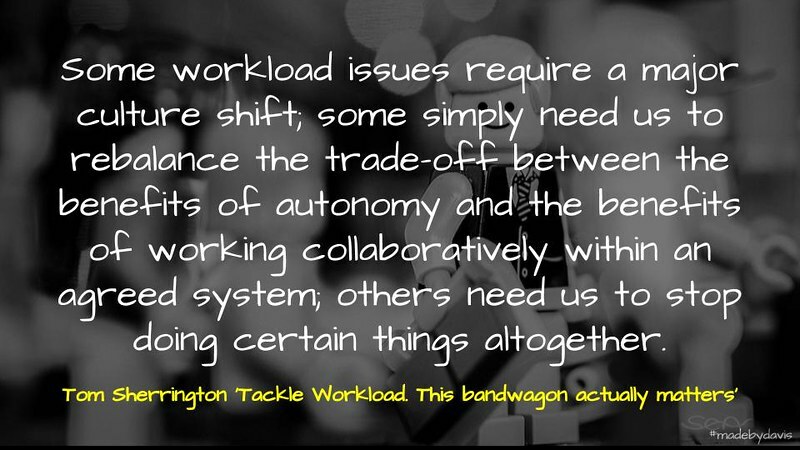 Some workload issues require a major culture shift; some simply need us to rebalance the trade-off between the benefits of autonomy and the benefits of working collaboratively within an agreed system; others need us to stop doing certain things altogether. “Students as Creators” and the Theology of the Attention Economy – Mike Caulfield builds on the ideas of Benjamin Doxtdater in highlighting some of the problems associated with Connectivism and the narrative of ‘students as creators’. Not only does this feed the capitalist propensity towards product, but it also ignores all sense of privilege. Maha Bali explains that we need to support, rather than give agency. I’ve come to think that, in today’s world, one of the most valuable lessons we can give to students is not “how to build their identity on the web,” but how to selectively obscure it. How to transcend it. How to personally track it. How to make a difference in the world while not being fully public. To teach students not just to avoid Google, but to use Google safely (or as safely as possible). To have them look at their information environments not as vehicles of just self-expression, but as ways to transcend their own prejudices. To read and listen much much more than we speak. And to see what is needed through the lens of privilege – teaching the beauty of deference to the students with self-confidence and social capital, while teaching marginalized students to find communities that can provide them with the self-confidence they need. Suis-je flâneur? – Ian Guest reflects on the data his has gathered associated with Twitter and wonders if he is a ‘flâneur’, in that he both captures and actively creates in the spaces where he works. Also writing about research, Julia Lindsay shares the lesson that she has learned that the coding of data is very much an interpretative act. 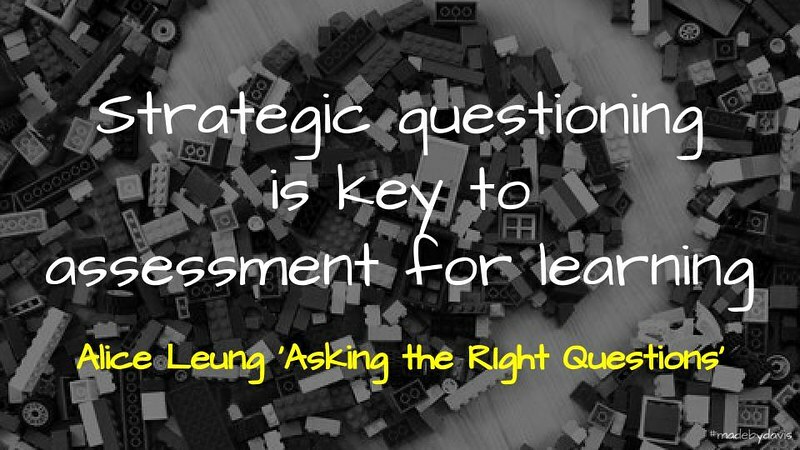 This all adds to the questions to consider when it comes to data. The flâneur is more of a serendipitous explorer, receptive to whatever comes along. They are a combination of curious explorer (having no goal other than to experience city life), critical spectator (balanced analyst, seeing beauty, but aware of social inequities), and creative mind (an interpreter who renders the urban landscape legible). The Seven Keys to Creative Collaboration – In the first of a series of posts unpacking creative collaboration, John Spencer highlights seven keys to success. These include ownership, dependability, trust, structure, shared vision, fun and candor. It is important to point out, as Gary Stager, not everything has to be collaborative. When collaboration works well, there is a certain group flow experience, where you are totally “in the zone.” There’s this dance back and forth where you get lost in the work and you realize that you are a part of something bigger than yourself. In the process, you create something as a team that you would have never been able to produce on your own. 10 Atypical Tips for Having a Great School Year (For Teachers, Professors, and School Leaders) – Bernard Bull provides some tips for how to have a great year. Whether it be reading books by dead people, asking more questions than you give answers or quit one thing a month, these ideas designed to stretch your thinking and widen your perspective. The Education Paradoxes of Singapore – Pak Tee Ng shares the five paradoxes associated with the Singaporian education system. They are: timely change, timeless constants, compassionate meritocracy, centralized decentralization and teach less, learn more. It is interesting to compare this with the Finnish story. It would seem that the only constant is a commitment to change. 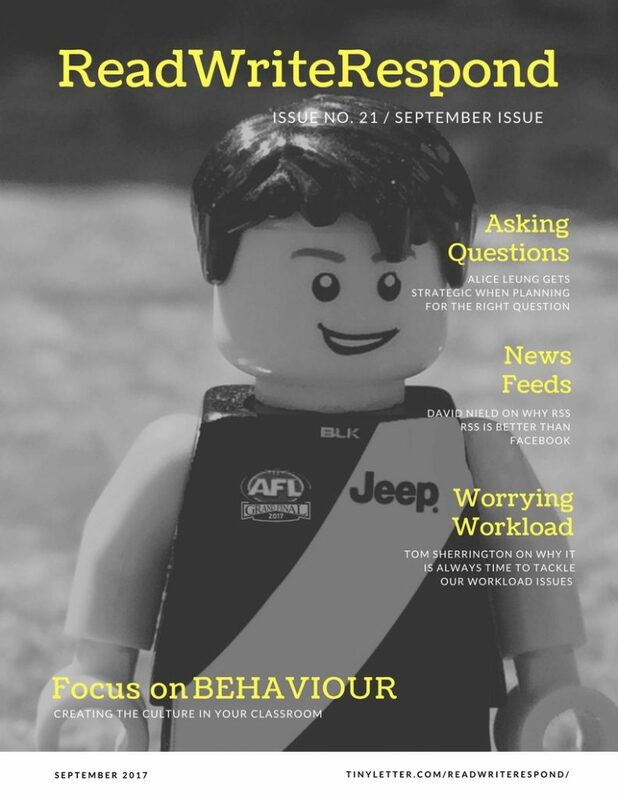 Do What They Told Ya – Sue Crowley argues that the question is not about whether students are behaving or not, but what their behaviour looks like. students forget to misbehave – Sue Crowley suggests that the challenge associated with ‘classroom management’ is structuring learning so that students forget to misbehave. 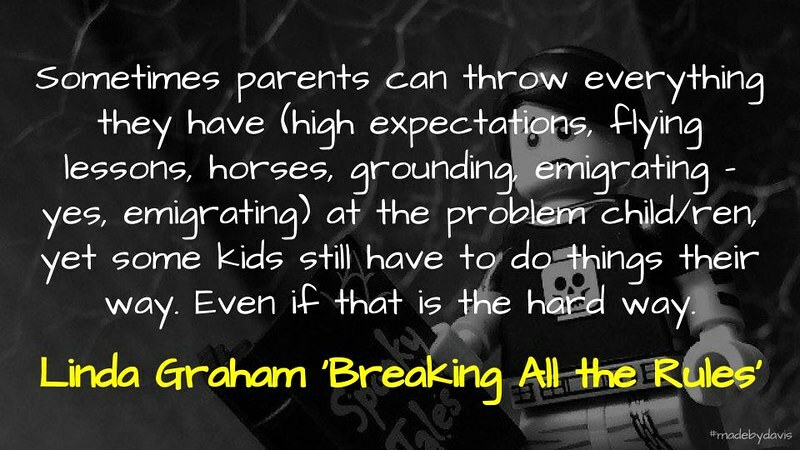 Breaking all the rules… – Linda Graham warns against simply blaming parents for the behaviour of their children as there are some children who have to do things their way. Dan Haesler explores the controversial in Off Campus – Dan Haesler provides a critique of Great Yarmouth Charter Academy’s student induction program, raising many questions to consider. A Response to Great Yarmouth Charter Academy – Georgia Harper raises a number concerns associated with autistic students and the push shame certain behaviours. Torture is not Good Education: A Response to WSJ’s Why American Students Need Chinese Schools – Although not a response to Great Yarmouth, Yong Zhao highlights some concerns associated with fear based learning. Three Promises I’m Making to the Parents of Quirky Kids – Reflecting on the experience of raising a quirky kid, Bill Ferriter suggests that he will now endeavour to celebrate all behaviours and if calling home with a concern have suggestions. Slice of Life: Not Yet Grounded – Discussing the start of the year, Kevin Hodgson discusses the unpredictability of kids, as well as the reward associated with breaking through.